Naked Nutrition’s Organic Rice Protein Powder delivers a potent blend of sprouted brown rice nutrients and is packed with amino acids. Naked Nutrition is a fairly new company, but has been making some major splashes in the supplement and sports nutrition marketplace. Their company mission is to create products that are ‘naked’ from any marketing ploys, and present buyers with only simple, nutrient-dense ingredients. 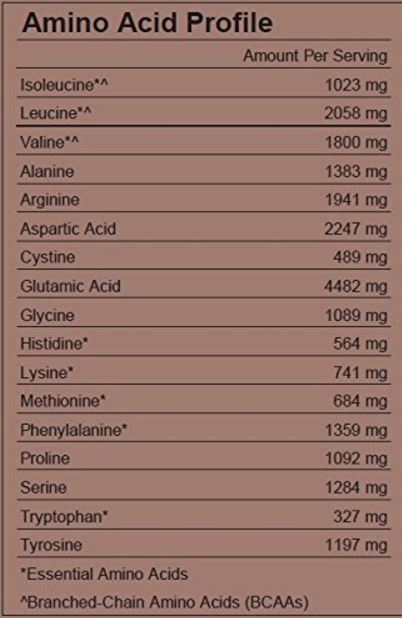 The Organic Rice Protein Powder from Naked Nutrition contains only organic sprouted brown rice as an ingredient. We typically focus on companies and brands that offer only Organic products, but Naked Nutrition exhibits a dedication to quality ingredients even when their products aren’t USDA certified organic. Their non-Organic products are still sourced from US-based farms, are free of GMO ingredients, and don’t contain any unnecessary additives. Their Organic Rice Protein Powder represents one of the best protein powder supplements that we’ve seen, and there are plenty of reasons you should consider it the next time you choose to expand your supplement shelf. Protein powders are judged largely by their amino acid profiles, and the amounts of branched-chain amino acids they contain. Rice protein powder is regarded as one of the best plant sources for protein, second in many minds only to Hemp protein, and offers a robust selection of amino acids. Your body uses amino acids to help build protein structures such as muscle, and when it doesn’t have enough freely-available amino acids from diet, it begins shifting into a catabolic state where it actually breaks down existing protein structures to get more amino acids. This can happen during periods of muscle repair—where mass and strength are built—if you don’t have enough dietary protein from which amino acids can be derived. This will result in muscle and strength loss, and is a dangerous state to be in for extended periods of time. Protein is necessary for many other vital processes in your body other than just packing on mass, and the Naked Nutrition Organic Rice Protein Powder can help you meed the needs of all of them! Powerful amino acids and wide ranges of both essential and non-essential compounds are great, but overall ingredient quality matters considerably as well. 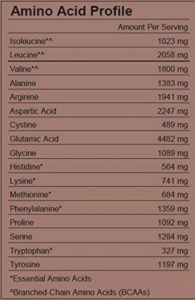 Supplements and nutrition products are notoriously high risk for sub-par ingredients. Many manufacturers source their products from less-than-scrupulous overseas suppliers, which increases the risk of contamination by toxic ingredients and heavy metals. 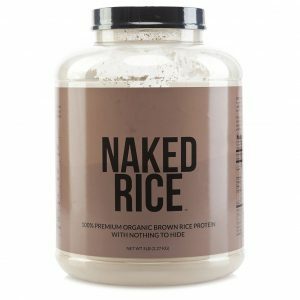 Naked Nutrition sources their ingredients from US-based sources, and their Organic Rice Protein Powder contains only a single ingredient; organic sprouted rice protein powder. Sprouted foods are heralded by many as nutritionally-superior forms of foods, and grains are regarded so particularly. When a grain is sprouted before eating, it has a reduced amount of starch, and an increased amount of nutrient value. Naked Nutrition’s Organic Brown Rice Protein Powder makes use of this type of powerful nutritional advantage in the sourcing of their products. Not only is it a huge nutritional benefit, but also likely helps to keep product prices lower since more nutrition can be gotten from the same types of food sources. In addition to the sourcing of Organic, Non-GMO ingredients, Naked’s Organic Rice Protein Powder takes great care in the manner in which ingredients are processed. Many vitamin and supplement products are processed using harmful chemical baths, which strip away the unwanted parts of the source. This type of process is regarded as denaturing, and is thought by many to reduce the bioavailability of ingredients. Naked Nutrition avoids using these types of harmful processes in their products, and takes pride in the quality of their ingredients. Naked Nutrition products are available for direct purchase through their official website. They offer a wide range of nutritional supplements, and also have many different variations of protein powders. If you are interested in flavored protein powder, they have a line of products called ‘less naked’, in which they have added minimal amounts of flavoring ingredients. Some local retail stores such as the Vitamin Shoppe carry Naked Nutrition products, although their selection is very limited and usually consists on only a single variety—usually whey protein powder. Naked Nutrition’s Organic Brown Rice Protein Powder is also available for direct purchase through Amazon. Many of their products qualify for free 2-day shipping through the Amazon Prime membership program. Maintaining proper amounts of protein can help ensure your body is able to perform at the level needed for maintaining a long-term health. Vitamins and supplements can be powerful allies in the fight of personal healthcare, and more and more people are beginning to understand just how powerful they are. It’s always a good idea to get as much of your nutrition as possible from dietary sources but many people are face with circumstances in which supplements like protein powders are much more convenient. Protein powder has been popular among bodybuilders since it’s first conception but nearly anyone can benefit from proper use of added protein—supplied in healthy amounts. You should always consult with your doctor or nutritionist before making any considerable changes to your diet or supplementation routine. Health is like a balancing act, and supplements such as protein powder are like balancing poles—they can’t keep you from falling, but they make it much easier to control your balance! 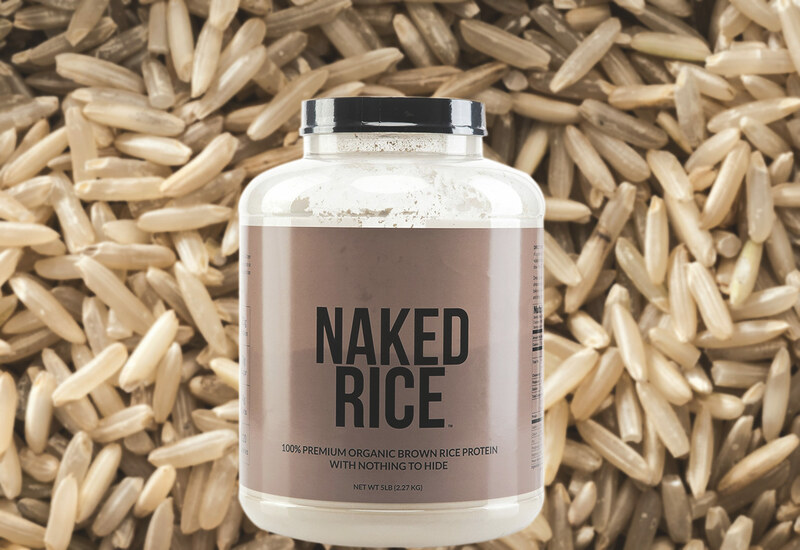 Naked Nutrition has been making a splash in the sports nutrition market lately, and their Organic Brown Rice Protein Powder is one of the many reasons why. This protein powder is loaded with essential and non-essential amino acids and processed in a manner that preserves their full-bioavailability.